Patients with type 2 diabetes have been considered a susceptible group for pulmonary dysfunction. Our aim was to assess pulmonary function on the prediabetes stage. Pulmonary function was assessed in 4,459 non-diabetic subjects, aged between 45 and 70 years, without cardiovascular disease or chronic pulmonary obstructive disease from the ongoing study ILERVAS. A “restrictive spirometric pattern”, an “abnormal FEV1” and an “obstructive ventilatory defect” were assessed. Prediabetes was defined by glycosylated hemoglobin (HbA1c) between 5.7 and 6.4% according to the American Diabetes Association criteria. Population was composed of 52.1% women, aged 57 [53;63] years, a BMI of 28.6 [25.8;31.8] kg/m2, and with a prevalence of prediabetes of 29.9% (n = 1392). 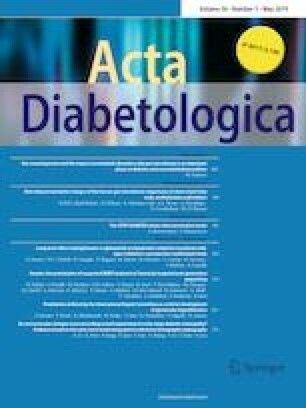 Subjects with prediabetes had lower forced vital capacity (FVC: 93 [82;105] vs. 96 [84;106], p < 0.001) and lower forced expired volume in the first second (FEV1: 94 [82;107] vs. 96 [84;108], p = 0.011), as well as a higher percentage of the restrictive spirometric pattern (16.5% vs. 13.6%, p = 0.015) and FEV1 < 80% (20.3% vs. 17.2%, p = 0.017) compared to non-prediabetes group. In the prediabetes group, HbA1c was negatively correlated with both pulmonary parameters (FVC: r = − 0.113, p < 0.001; FEV1: r = − 0.079, p = 0.003). The multivariable logistic regression model in the whole population showed that there was a significant and independent association between HbA1c with both restrictive spirometric pattern [OR = 1.42 (1.10–1.83), p = 0.008] and FEV1 < 80% [OR = 1.50 (1.19–1.90), p = 0.001]. The deleterious effect of type 2 diabetes on pulmonary function appears to be initiated in prediabetes, and it is related to metabolic control. Enric Sánchez and Liliana Gutiérrez-Carrasquilla contributed equally to this work. Albert Lecube and Rafael Simó are joint senior authors. The members of the ILERVAS Project Collaborators are listed in Supplementary Appendix. The online version of this article ( https://doi.org/10.1007/s00592-019-01333-6) contains supplementary material, which is available to authorized users. This work was supported by grants from the Lleida Provincial Council, Autonomous Government of Catalonia (2017SGR696 and SLT0021600250), Instituto de Salud Carlos III (Fondo de Investigación Sanitaria PI12/00803 and PI15/00260), and European Union (European Regional Development Fund, Fondo Europeo de Desarrollo Regional, “Una manera de hacer Europa”). CIBER de Diabetes y Enfermedades Metabólicas Asociadas and CIBER de Enfermedades Respiratorias are initiatives of the Instituto de Salud Carlos III. The authors would also like to thank Fundació Renal Jaume Arnó, IRBLleida (Eva Castro, Virtudes María, Marta Elias, Teresa Vidal, Mª del Valle Peña, Cristina Dominguez, Noemi Nova, Alba Prunera, Núria Sans, Meritxell Soria), and the Primary Care teams from Lleida for recruiting subjects and their efforts in the accurate development of the ILERVAS project. All author(s) declare that they have no conflict of interest. The protocol was approved by the Arnau de Vilanova University Hospital ethics committee (CEIC-1410). Additionally, the study was conducted according to the ethical guidelines of the Helsinki Declaration and Spanish legislation regarding the protection of personal information was also followed.